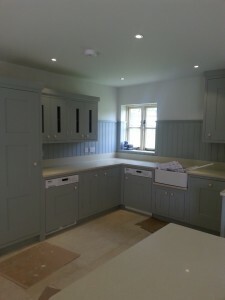 This was a project i started last year for a fired earth designer from there Bandbury showroom, A small development of 10 luxury houses built in the very up market village of Silverstone Northants. 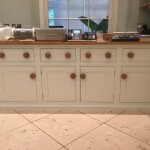 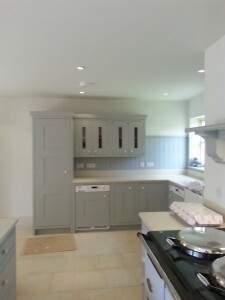 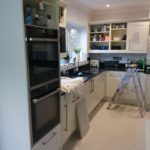 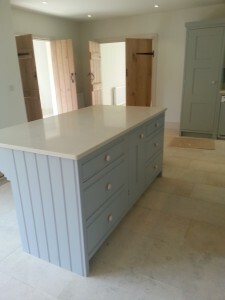 I painted two hand made bespoke kitchens supplied by Marnie Kitchens last year, since then they sold the two houses with the hand painted kitchens. 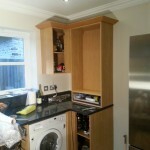 They then decided to fit off the shelve cheaper kitchens in a factory sprayed finish but have not been able to sell any more houses, customers who have viewed the houses tell the builders that they would have made a offer if the houses had the bespoke kitchens that the 1st two houses built had.